Fall is right around the corner and it's time to start thinking about changing your decor. 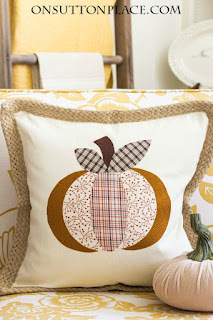 Ann of On Sutton Place shares a tutorial to create this No Sew Pumpkin Pillow. For the complete instructions, simply click on the photo above.